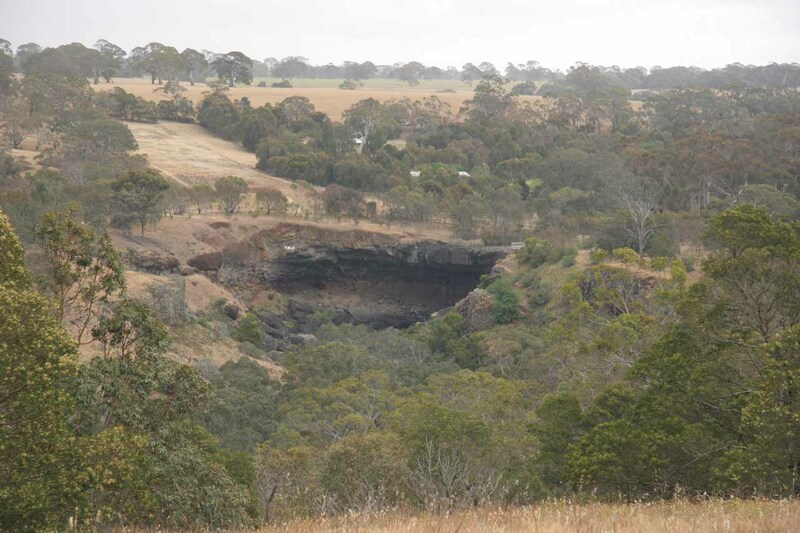 13-November 2006 to 14-November 2006: The day had begun with a disappointing Trentham Falls as it barely had any flow over its impressive basalt cliff. 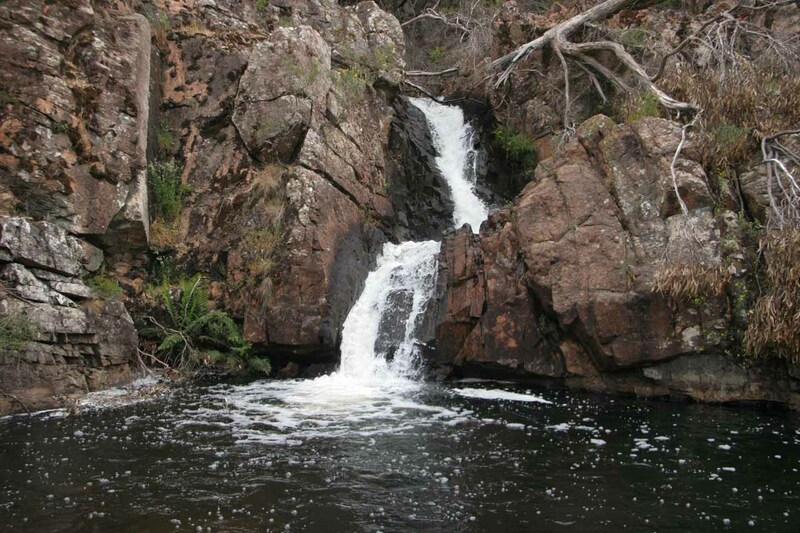 Then, we had difficulty finding Sailors Falls because it had been bone dry and silent. 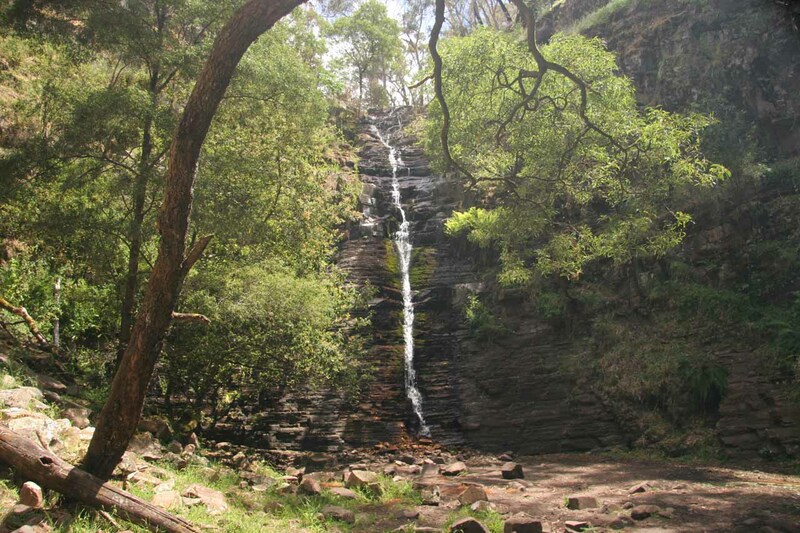 When we got to the Grampians, we couldn’t see Kalymna Falls (not that we expected it to flow anyways given how brown and barren everything was) due to closure as well as other Grampians waterfalls such as Splitters, Clematis, and Turret Falls. These two days in Western Victoria were indeed turning out to be a bitter experience. 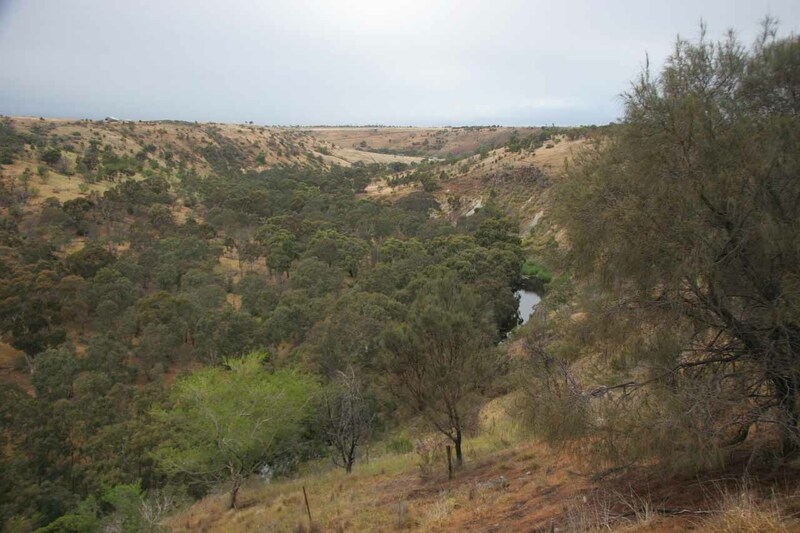 But as we continued south towards the town of Hamilton, I had my sights set on seeing both Wannon and Nigretta Falls as they were on the Wannon River. Surely they must be flowing since they’re on rivers, right? 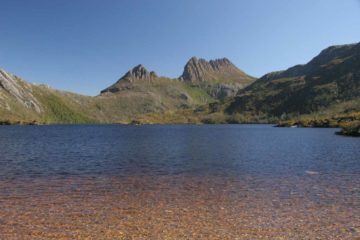 After yesterday’s somewhat successful waterfall hunt in Gippsland, the time had come to leave Melbourne and head northwest towards the Grampians. 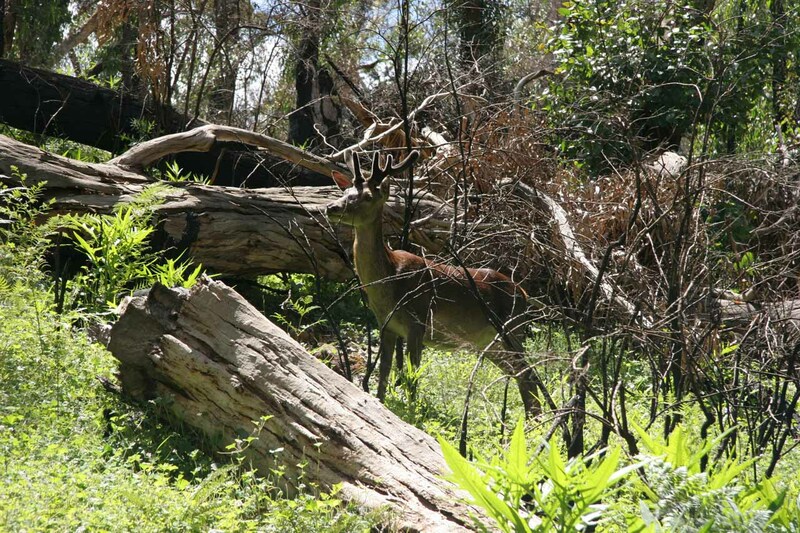 It was the start of a loop tour that would eventually lead us back to Melbourne on Friday the 17th (five days later) via the Great Ocean Road – something Julie couldn’t wait to see. So we checked out of the Mercure Hotel and rolled our luggage towards the QV Shopping area where our car was parked. As we walked over there, we tried to ignore a drunk guy cursing and trying to instigate something with whoever was around him – man or woman. Apparently, he partied a bit too hard last night. I tried to look down and stifle my cynical smile. “Yeah, look away from me. You’re scared of me you chicken sh*t,” he said. Being on holiday, I really wasn’t in any mood to throw down. I spent lots of money to be here so I reckoned this wasn’t worth defending my male ego over. So I kept walking towards Julie who was way ahead of me at this time trying my best not to let him get to me. By 7:15am, we had left Melbourne. 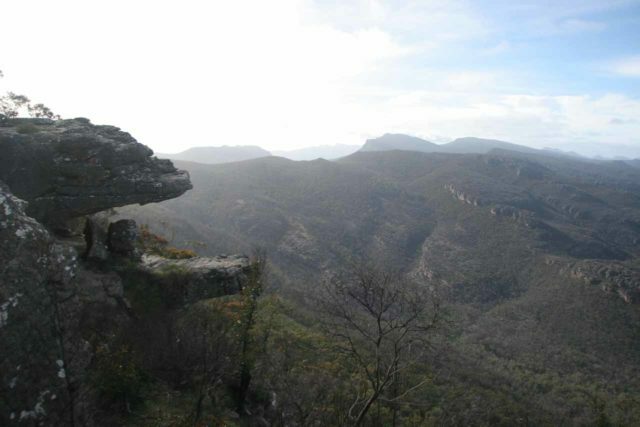 First up on the way to the Grampians was the Organ Pipes National Park. 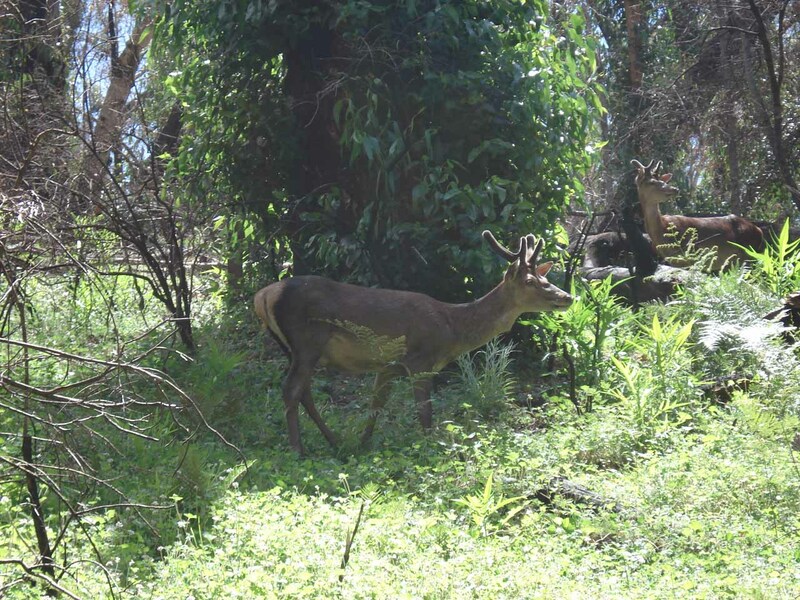 Unfortunately once we got onto their expressways and freeways, we had hit rush hour traffic. To complicate things, we also lost the way somehow, and those City Link toll roads confused things even more (we had unknowingly taken one after yesterday’s Gippsland day excursion and had to call from the hotel to buy the day pass and avoid a fine). It was raining so I immediately thought this was good for our waterfall hunting for today. 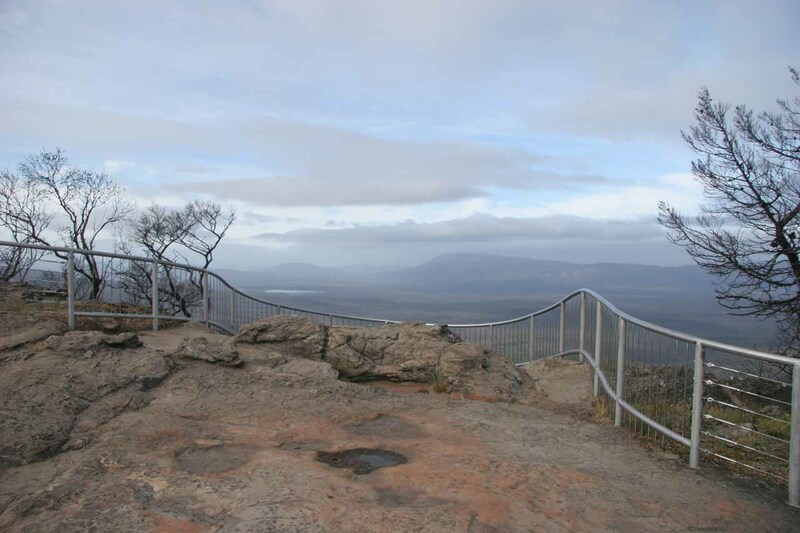 Finally by 8:18am, we made it to the car park for the Organ Pipes. It wasn’t easy getting into the turnoff because you had to cross traffic that was zooming at 110km/h and very busy. I felt like Frogger trying to find the opening to make the mad dash across the dangerous highway intersection. Still, we managed to get through and into the well-signed reserve. It was cold and windy this morning and we could see and hear Qantas airplanes flying over us (the Melbourne Airport must be nearby). 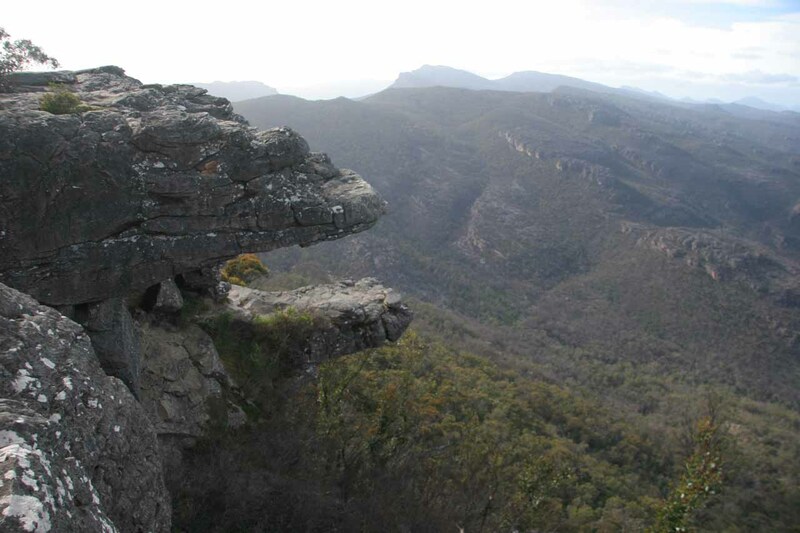 So we quickly walked downhill towards a creek and eventually made it to the Organ Pipes. The formation was very reminiscent of the Devils Postpile formation in California. 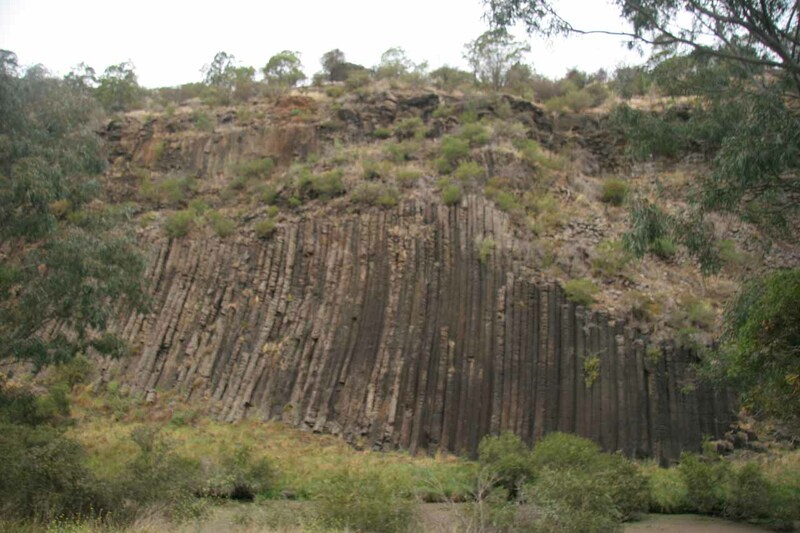 But the formation in Oz was far more eroded than the shapely hexagonal columns of the Devils Postpile. 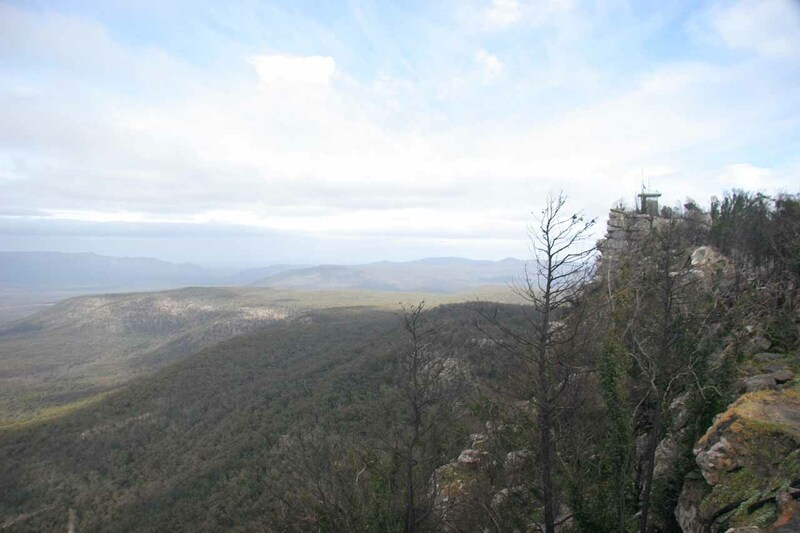 We took a few photos here before walking back up the paved steep trail to the car park. 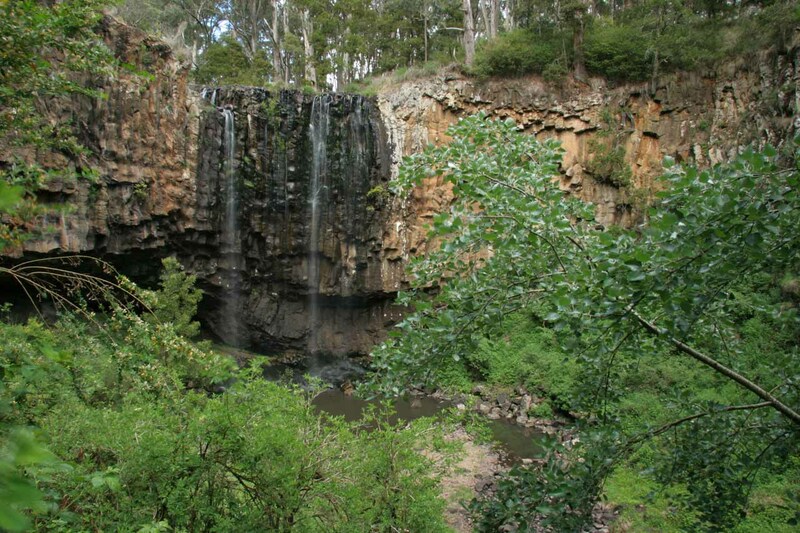 At 9am, we were back in the car and continued northwest on the M79 in an effort to get to Trentham Falls. 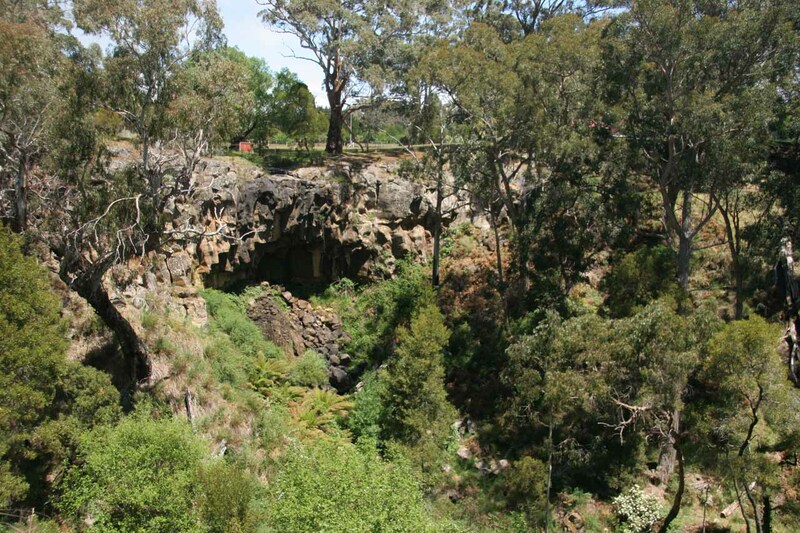 We eventually got to the Trentham Falls car park at 10:10am after a quick stop at the Woodend Visitor Center. 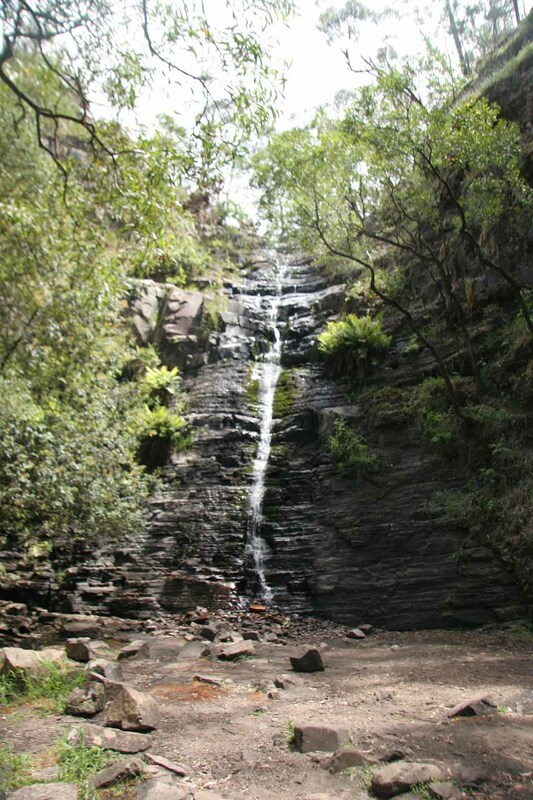 With the recent rains and the threatening rain today, we thought this waterfall should be performing fairly well. But when we finally saw the falls, we were quite disappointed. Given all the waterfall successes on this trip up to this point, this was the first major waterfall that was really hurting. 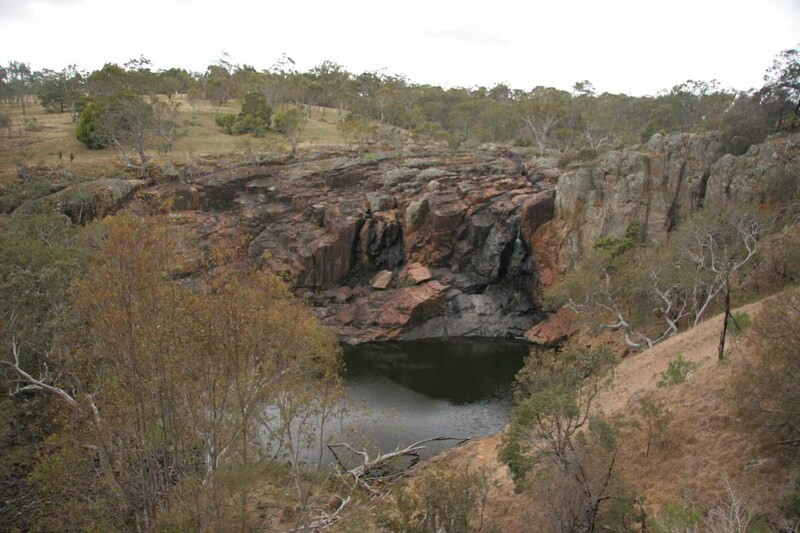 It was supposed to be a famous waterfall with the highest single drop in Victoria at 32m. 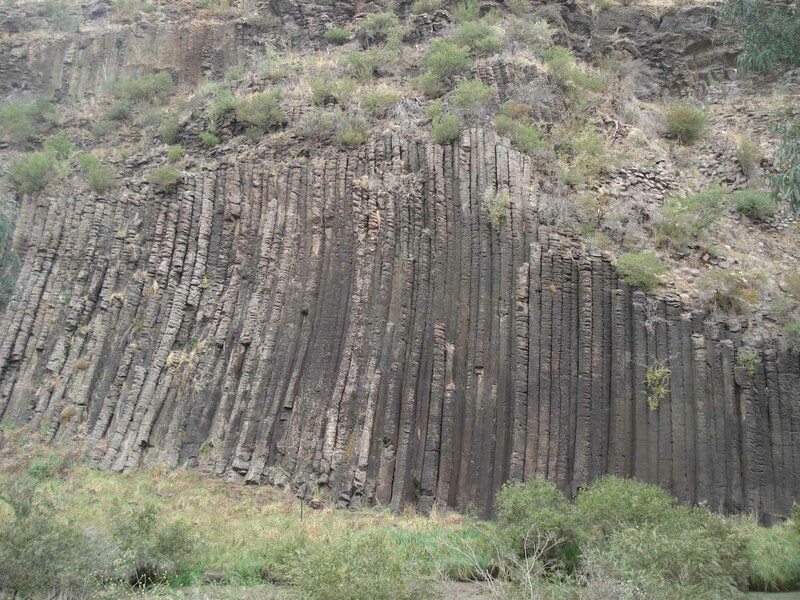 What we ended up seeing was a pair of nearly trickling columns of water over a mostly bare basalt cliff. 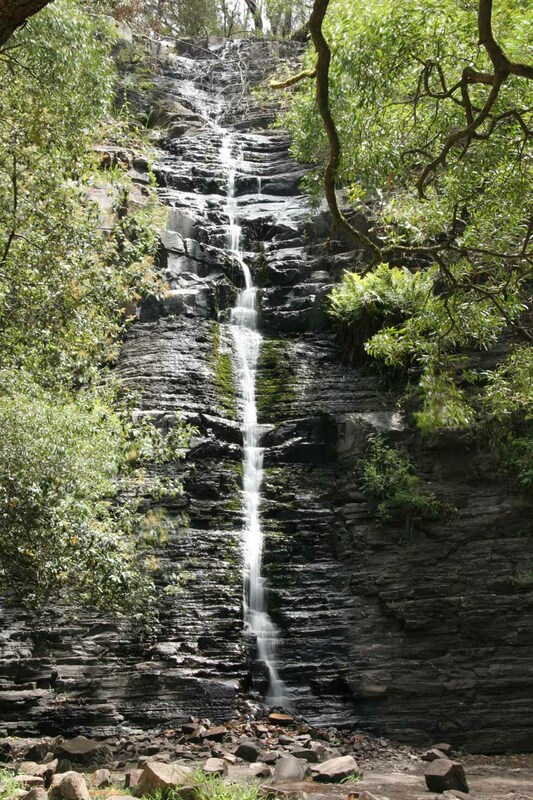 I could totally see how impressive this waterfall would be under more normal conditions. 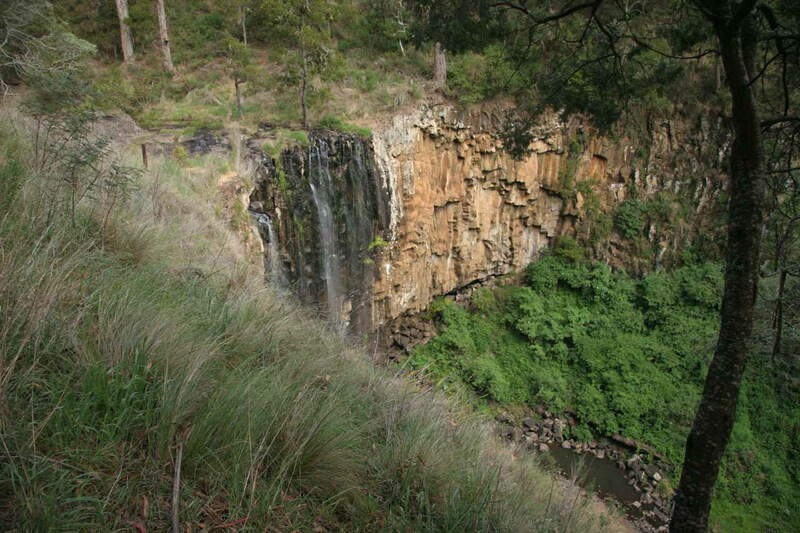 There was also a faint rainbow in the last bit of water flowing over the falls when the sun came out, but that did little for console us for this Trentham Falls experience. The trail to the base of the falls was also closed because apparently some landslides wiped out the bottom-most parts of the trail. So all that was left was a somewhat unsatisfying and partially obstructed view of the falls from one of the upper overlooks. We returned to the car at 10:42am. 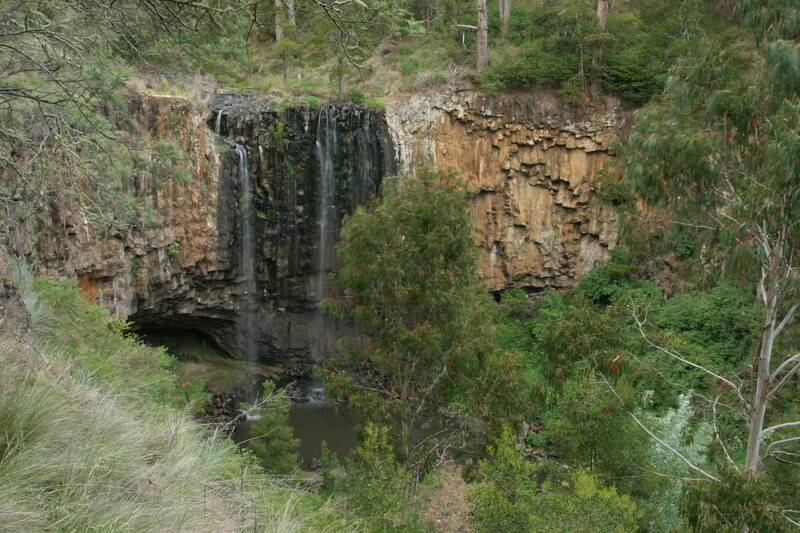 At that point, we headed over to Daylesford with the goal of seeing at least Sailors Falls. It might also be a good place to pick up a takeaway lunch. We found the Daylesford Visitor Center at 11:16am. 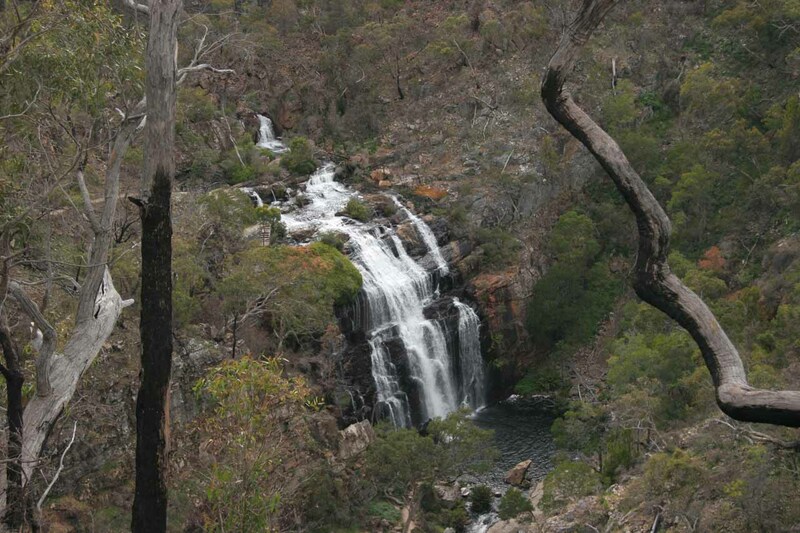 I inquired about both Sailors Falls and Loddon Falls, which I had read were both in the area. 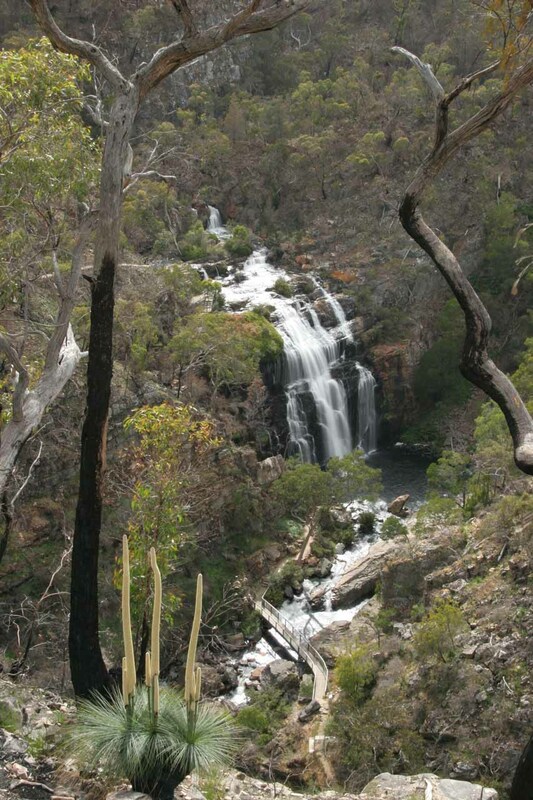 But both the elderly male and female clerks told me that Loddon Falls was far from here. 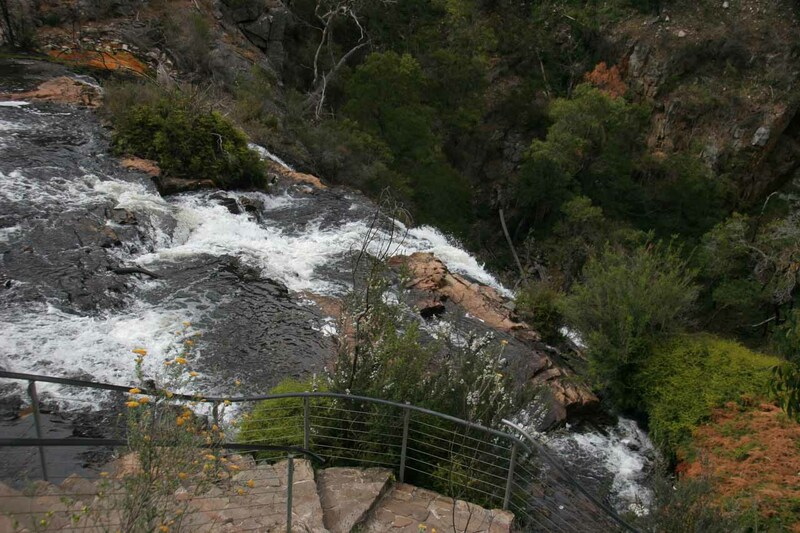 The lady told me there was Glenlyon Falls nearby and it was quite nice and sure to be flowing. So at 11:45am, Julie and I took her advice and directions in search of this waterfall, but not before picking up another meat pie lunch to go. 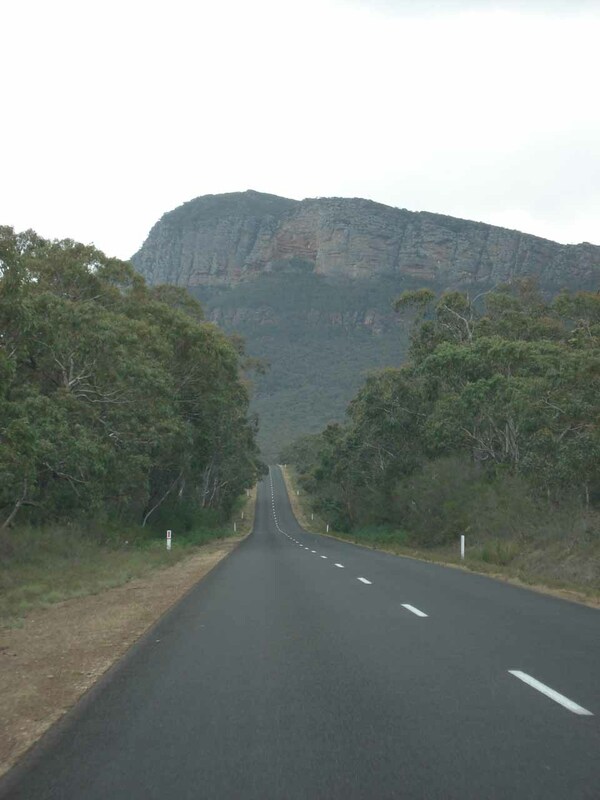 We proceeded to drive on the A300 towards Castlemaine and then on the C318 towards Malmsbury. 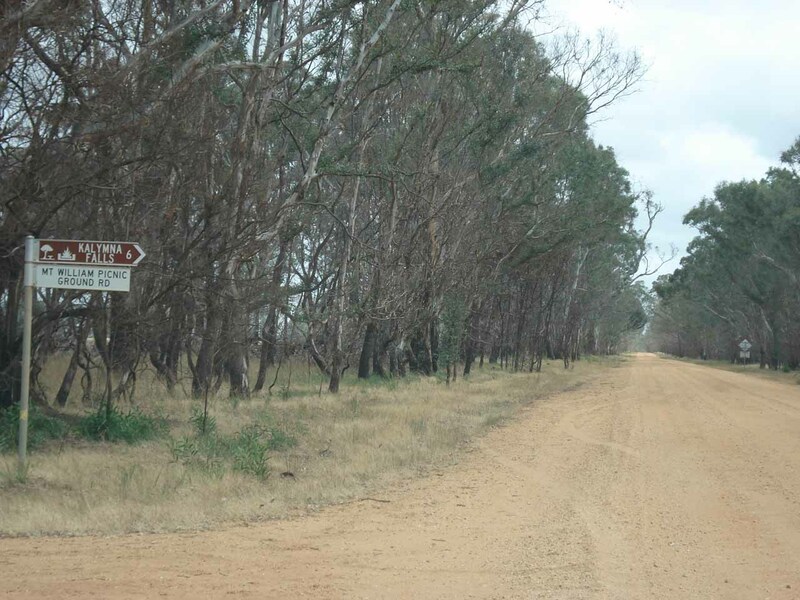 As instructed, we turned left just past the bridge over the Loddon River, which happened to be the unsealed Holcombe Rd. 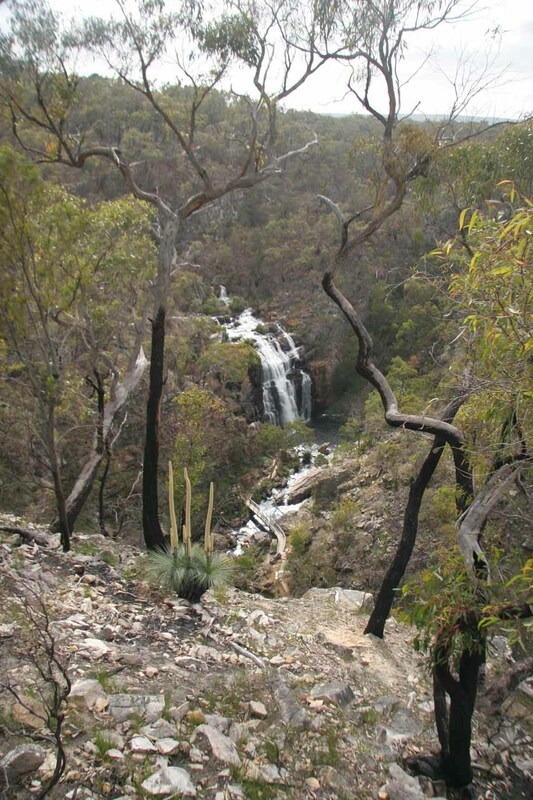 We did notice a sign indicating “Loddon Falls,” which was what I suspected (not Glenlyon Falls as the clerk had told me) and tried to find the way to the falls. Unfortunately, we wasted a few minutes after we realized on our GPS tracking that we were on the wrong path. When we finally did get on the correct path, the road to the falls deteriorated terribly. I was very concerned about the rental car getting stuck in the rocky, muddy, and overgrown road so I opted not to go any further. Besides, if the skies delivered on its threat to rain, then we would be hosed for sure. 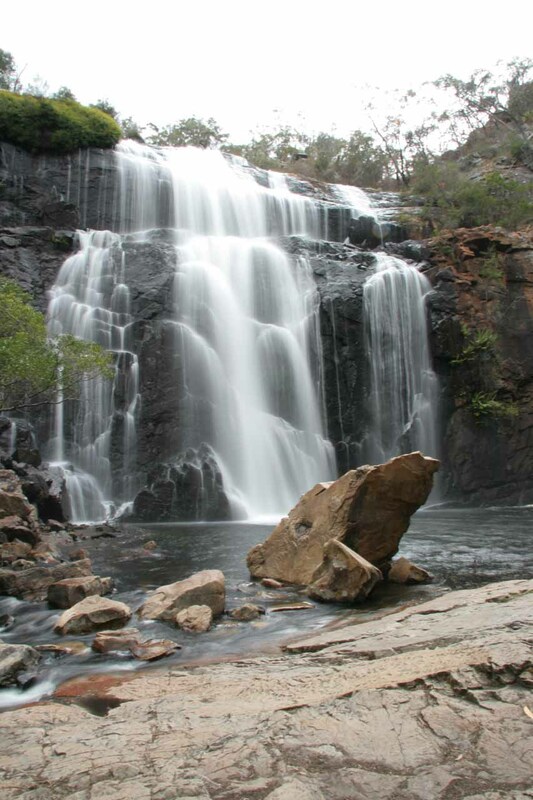 So we both reckoned it wasn’t worth the effort nor the risk and decided to just go for Sailors Falls instead. 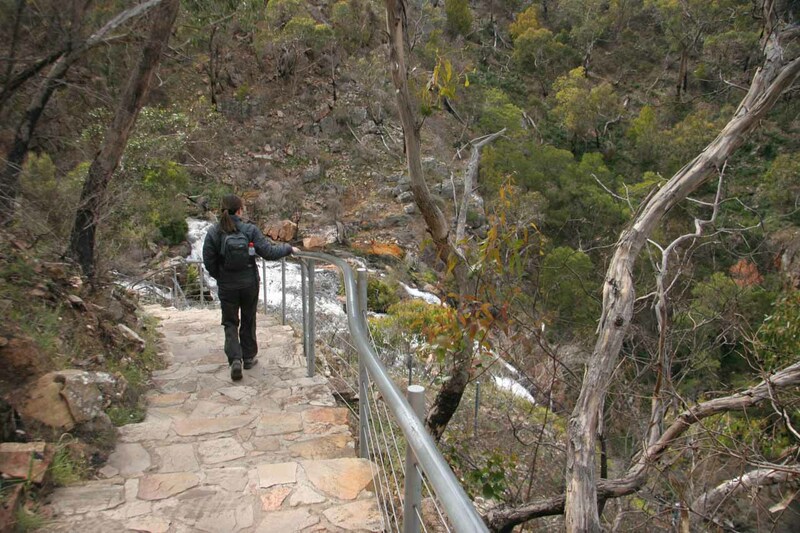 At 12:25pm, we headed off for the Sailors Falls car park. And minutes before 1pm, we swore we saw signs for the falls but we couldn’t find the falls. 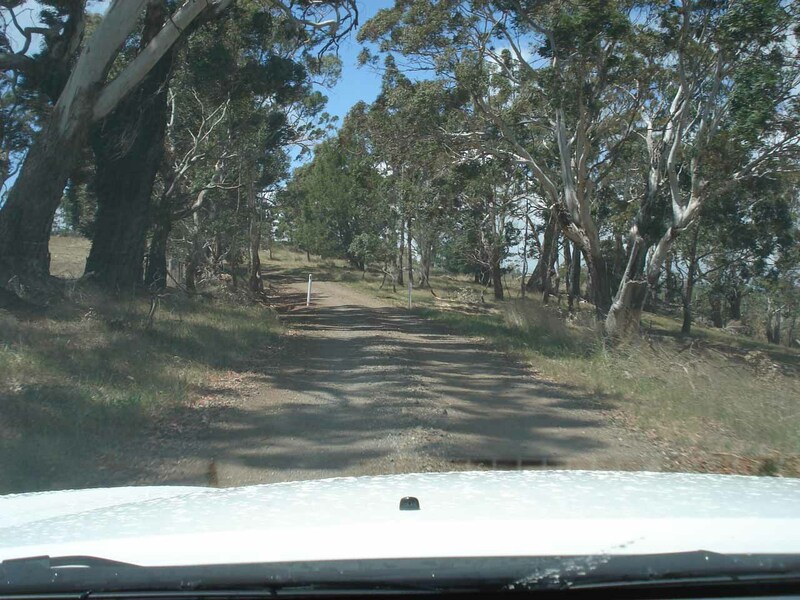 We wasted time driving on unsealed logging roads thinking it was further from the road. But it turned out to be right off the busy C141 road. By this time, it was 1:04pm. 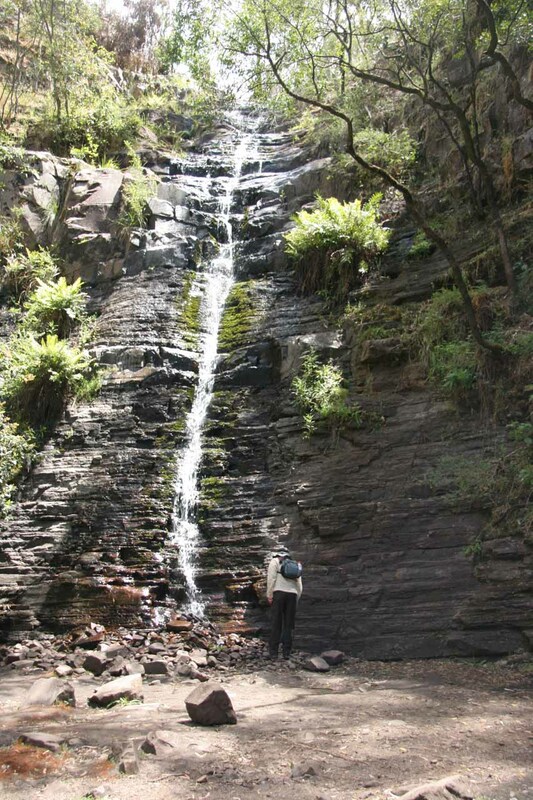 Part of the reason why we had trouble finding this waterfall was that it was bone dry so it didn’t make any noise. With this disappointing scene, we wasted no more time here (not even 10 minutes had passed) and decided to continue driving to Ararat. 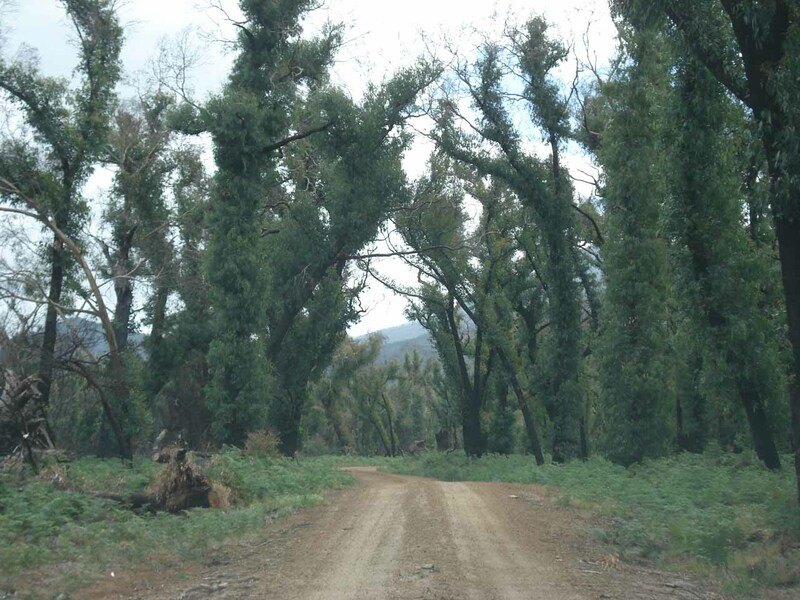 Throughout the drive, we were hard pressed to find anything green. All the farms and hills on either side of the highway A8 were brown and seemingly sickly. Clearly we could tell the drought hit this area pretty hard. It felt even worse than the Riverina and Murray River districts. And our waterfall experience today certainly reflected this. There were also plenty of “For Sale” signs to reinforce the desperation the farmers here must have felt. Exacerbating this depressing scene was that for nearly the next two hours, we had mostly followed slow traffic as overtaking opportunities were limited. The rate of traffic was a bit too fast to spontaneously look for a pullout as well so you had to take chances overtaking in the oncoming traffic lane to get by. So eventually these slow drivers held up the flow of traffic creating a huge line of cars behind them (including big rigs). It was 2:56pm when we arrived at the Ararat Visitor Center. 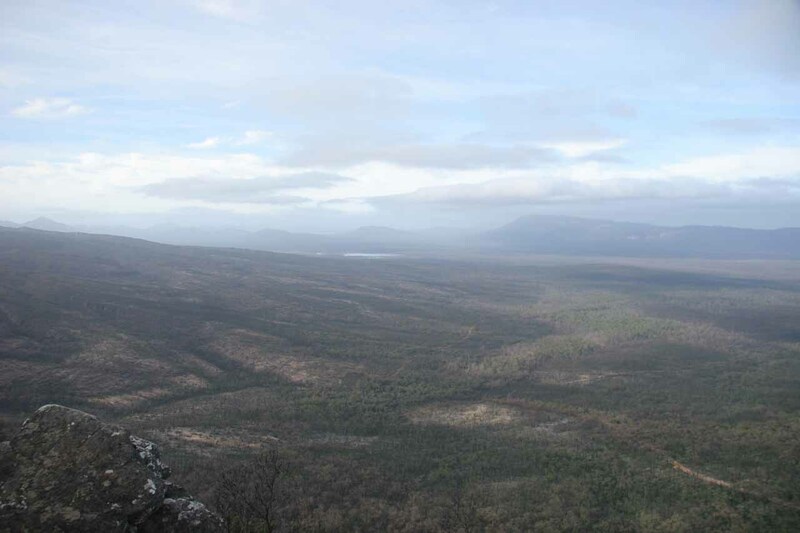 While at the Visitor Center, we got the news that most of the roads and trails in the Grampians National Park were closed due to a devastating fire that torched just about half the park back in January of this year. At least MacKenzie Falls and Silverband Falls were still accessible and the lady here said MacKenzie Falls would definitely be flowing. 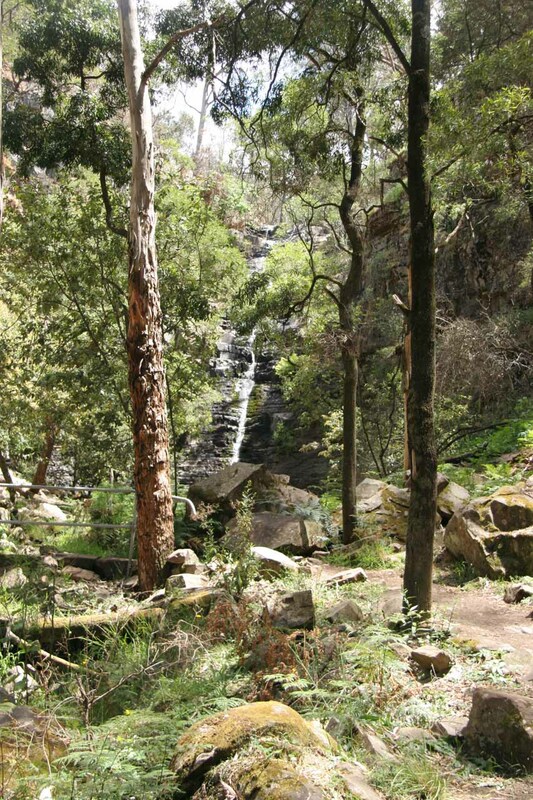 We also asked about Kalymna Falls on the east side of the Grampians, but she told us that she honestly hadn’t been there before. So we were on our own on that one as we couldn’t tell if access to the falls was closed nor if the falls would be flowing. 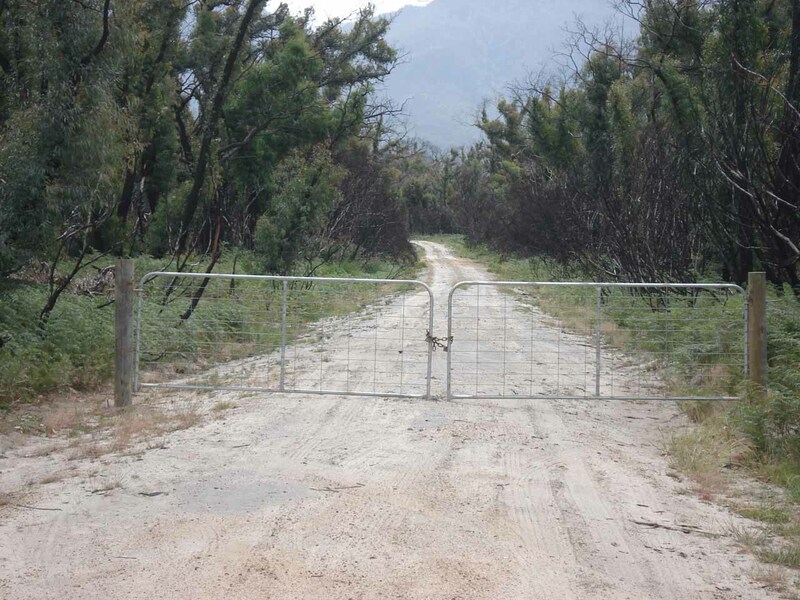 Well at 3:25pm, we left Ararat and headed for Kalymna Falls, but at 3:55pm, we stopped at a locked gate after driving an unsealed access road for a few minutes south of Moyston. So much for this waterfall. 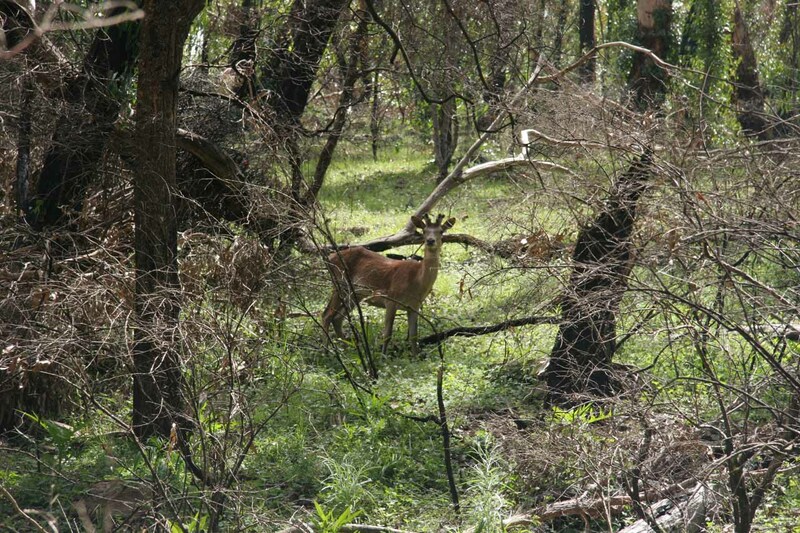 Besides, we saw more evidence of fire and drought as we passed through more groves of dessicated trees with black trunks and unhealthy brown plains. 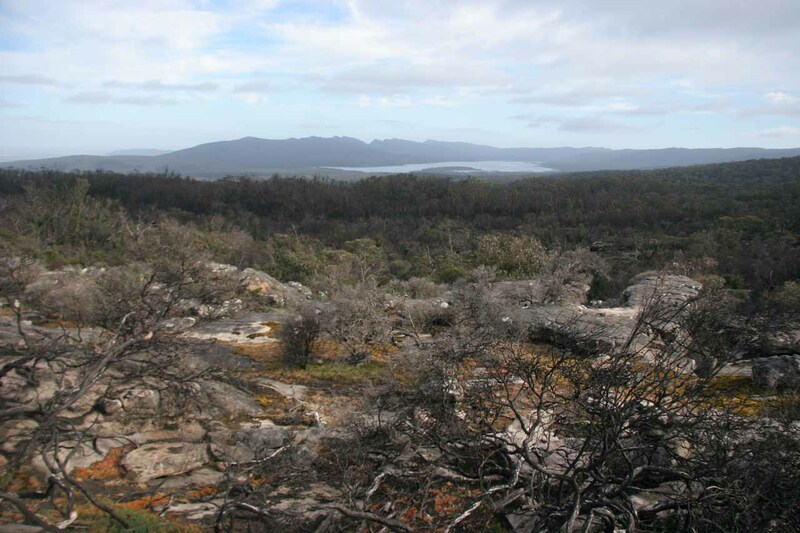 Triple J was featuring the latest album by the band Dappled Cities Fly at the time and one of their catchy songs, “Fire, Fire, Fire,” seemed appropriate. 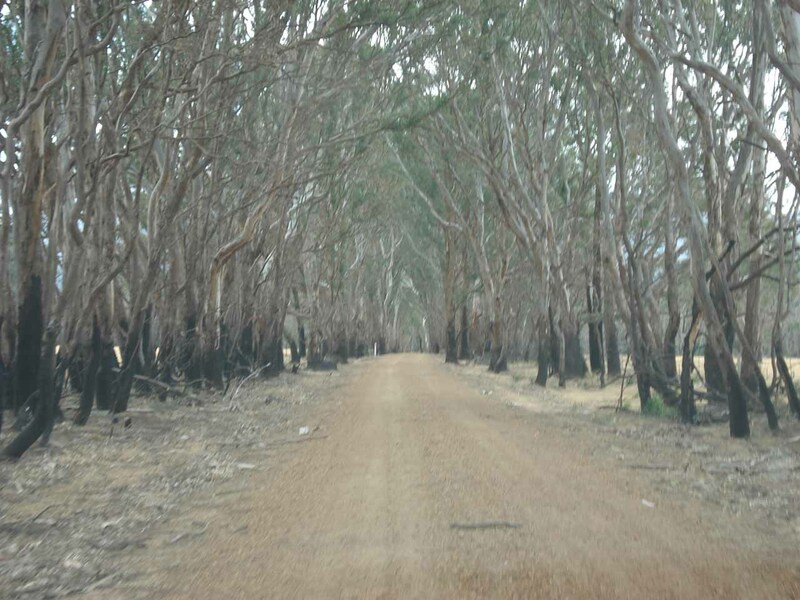 So we continued driving back towards Ararat before heading north to the Comfort Inn Goldfields in Stawell – site of our next accommodation. And we finally got there at 5:13pm. With all the waterfall disappointments of today, I was quite bitter. I was glad to finally check in to our motel and hopefully put mercifully end this day where things just weren’t meant to be. Perhaps I could’ve swigged some Victoria Bitter – the local beer in Oz (not that I’m a big fan of beer) to take my mind off the feeling of wasting my money on this trip, I thought. For dinner, we ended up having a meal of burgers and steaks in a smoky restaurant in the Town Hall Hotel in Stawell. The one thing that stood out in my mind during our dinner here was the caption on the TV that had said the current rainfall total for November was 4mm while the monthly average was 40mm.